Cornerstone has always been a mission-driven company. As we’ve grown, we’ve stayed true to that vision. But like anything, with a growing team there’s more variability in how that vision is communicated. 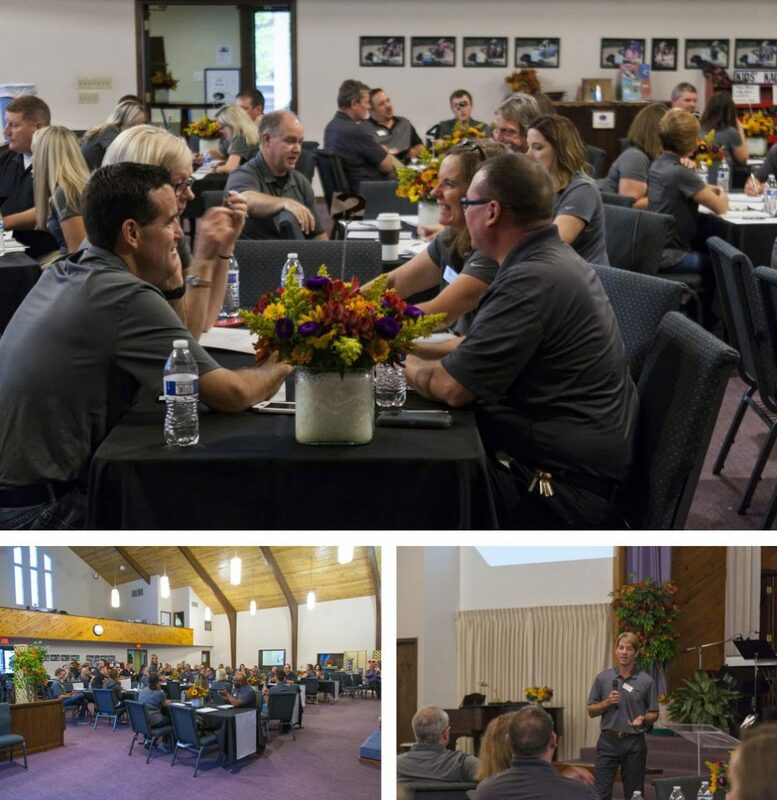 A few weeks ago, the Cornerstone team gathered to talk about our mission, our core values and our path for the future. 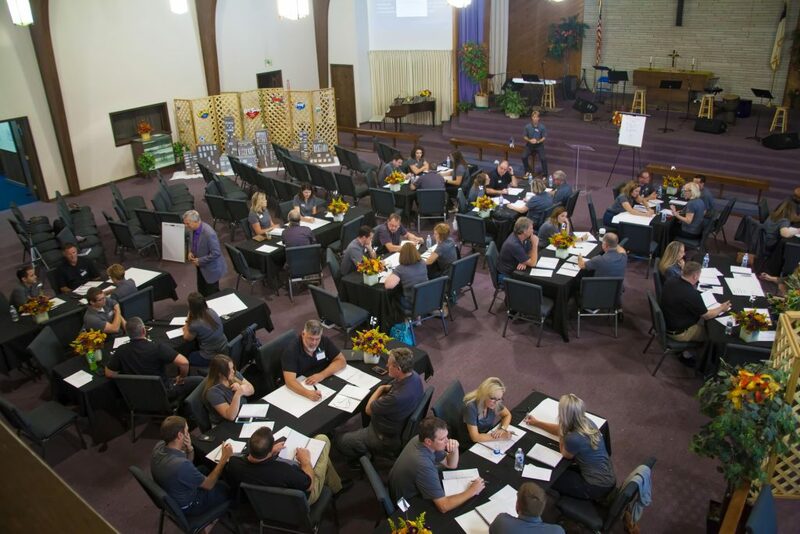 During our day-long retreat we refined our purpose, shared our vision and goals, and revealed our set of core values that will guide our company’s direction. Here’s what we reviewed together. We kicked off our day with a message from our founder, Bob Whitacre. Bob shared the story of how he founded Cornerstone and the history behind the name. Unlike other real estate firms, Cornerstone isn’t named after someone’s last name. Our mission goes far beyond the legacy of one person or one family. We’re here to serve patients and healthcare providers. Our purpose is simple: Cornerstone helps organizations make strategic investments in healthcare real estate assets. Cornerstone helps clients build, manage and optimize their real estate portfolio while enhancing their patients’ standard of care. There are two sentences in our purpose, and each has the word “help.” The idea of helping others has shaped Cornerstone through the years, and will continue to be a driving force as we continue to grow. As a leadership team, we are encouraging each team member to view themselves as the cornerstone of every project. Whether you’re managing a building, overseeing facilities, technology, or property management, you are the cornerstone of what you’re doing. You are the key component of our company – feel that strength and act with integrity. We’ve set big goals for growth, and I’m excited to share them with you. Ten years ago, we had 20 employees and managed about 800,000 square feet of medical property. Since then, we’ve more than quadrupled in size. Today Cornerstone has 80 team members and manage 4.5 million square feet around the Midwest. But where I want to focus going forward is Cornerstone’s impact with our physician partners and their patients. Our portfolio today directly impacts about 4,500 physician providers serving 10 million patients. In the next ten years, we are planning to double in size again. By 2027, we believe we will have the ability to impact 10,000 providers serving 20 million patients. Serving patients and providers has always been our driving force at Cornerstone. We are choosing to measure our success not necessarily by profit, or square feet managed, but by our impact. As we’ve grown, it makes sense for us to write down and actively practice our core values so that they continue to define the way we serve our clients. To do this, our leadership team considered the values we see in the office and in the field every day. We chose three that we feel are alive within Cornerstone team, and we want to keep them alive as we move forward. Build personal relationships with our team and clients. Develop solutions with lasting value. Manage our partnerships with the highest level of integrity. These values are alive across our entire organization and embody our culture. Because we’re a small company solely focused on healthcare, we are flexible enough to deliver creative solutions. Our vision has always been about how much impact Cornerstone can have, not how much money we can make. At Cornerstone, we take great care to make sure every client has a personal point of contact, our employees are treated well and that we’re developing personal relationships for our small-company feel. We’re prepared to stand firmly behind our company’s core values. Our leadership team is putting processes in place to make sure these values steer our decision-making in staffing, finances and all areas of the business. At the end of the year, team members will have a chance to nominate someone they feel exemplifies each of our values — and we’ll recognize them with Core Values awards. In September 2017, we announced a philanthropic partnership with Community Health Network. Community’s behavioral health program includes the full-service, inpatient Behavioral Health Pavilion, outpatient Gallahue Mental Health Services and group homes that house patients as they prepare to transition back into daily life. Many patients transition out of behavioral health programs, move into their own apartment and have no personal belongings. As part of our partnership, we’re providing move-in kits for patients transferring from inpatient or residential services back into their own apartments. We chose this partnership because we believe in this important area of healthcare. According to the American Psychological Association, about 25% of all U.S. adults have a mental illness and nearly 50% will develop at least one mental illness during their lifetime. Nearly one-fourth of all adult stays in U.S. community hospitals involve depressive, bipolar, schizophrenia and other mental health disorders or substance use-related disorders. 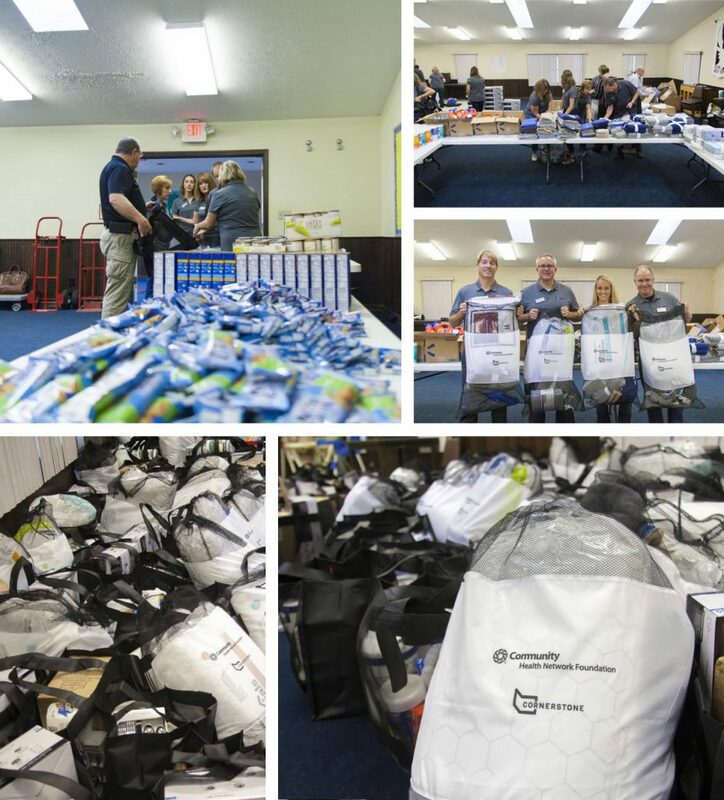 With this partnership, we are able to help those in need our community. During the second half of our team meeting, we kicked off this philanthropic partnership with a service project. 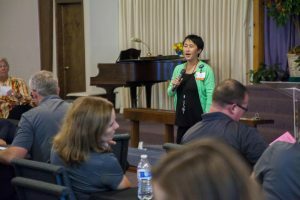 We heard a testimonial from one of their patients, talked about what the partnership means for both organizations, and participated in a group activity to assemble our first set of Fresh Start Move-In Kits. We’re excited about this philanthropic partnership and what it means for our community, and we’re looking forward to continuing to live out our values in this way. I’m honored to lead a group of professionals who genuinely care about people. Our work is personal, and we take it seriously – but we also know people always come first. It inspires me to be a part of a team that goes above and beyond to help people, and I’m looking forward to seeing how we grow our impact in the years to come.